Do good Buddhists eat more meat? | ගෙරි මස් කන්නා යහපත් සිංහල බෞද්ධයාද? The post-millennium behavior of ‘Sinhalese Buddhists’ is not guided by rationale. Buddhism has nothing against war, they said once, if directed to safeguard Sinhalese and Buddhist interests. Then fighting became an act of merit, as if Jihad – the holy war – was declared by Ayatollah Khomeini. Buddhist monks shredded their robes to take AK-47s and earn more respect. More recently we were reminded that dancing in front of Buddha statues is a disgrace. That should be stopped at any cost, even that means stoning. Line between Buddhism and the Taliban version of Islam appears to be fading. Another brand new trend is the new found love for meat among Buddhists. A new school seems to see nothing wrong in Buddhists eating meat (=any animal flesh including fish). An article by Dr. Vilegoda Ariyadeva thero, a former University of Ruhuna academic is a giant step toward guilt-free ‘Buddhism- friendly’ meat eating. Dr. Ariyadeva thero claims meat eating is customary in Theravada Buddhist societies in Sri Lanka, Thailand, Burma, Laos and Cambodia. Only Hindu societies are predominantly vegetarian. According to him, Theravada Buddhists only purchase meat for their consumption but never kill. This may not necessarily be true, a large section of fishing community in Sri Lanka is Buddhists, but Dr. Ariyadeva thero’s new found theory still provides an excellent excuse for meat-loving Buddhists. Eat anything you wish while staying holier than thy neighbor. What a simple plan! The following is an attempt to explore this complex question. I have my own views but will offer an opportunity for devout Buddhists to defend themselves and convince me meat eating is right. I am glad if Dr. Ariyadeva thero or other meat-promoters join the debate. Homo sapiens, unlike other primate members of his order is clearly omnivorous. While gorillas, chimpanzees and baboons take most of their food from the tropical canopy, humans eat a considerable amount of meat – even though it is not a biological necessity. Desmond Morris’ explanation is based on the theory of evolution. It has to do with the behavioral lag between the social evolution and the biological one. Ultra modern we may be, but biologically, the age of hunting is still not over. We are still driven by the instincts of our hunting forefathers and gathering foremothers. Eating and craving for meat is thus, no more unnatural than playing football, the modern equivalent of collective hunting. Do we have to eat meat? Yes and No. Yes, because certain amino acids do not come from a pure vegetarian diet. No, because we can still survive and function without meat. The amount of meat we need in our daily diet is minimal. In Hindu societies pure vegetarianism is common but no serious health issues are observed. No. Few Buddhist avoid meat as a principle. Mahayana Buddhists do not encourage meat consumption as that can be of a Bodhisatta – a seeker of Buddhahood. Still only a section of Mahayana Buddhists are pure veggies. Yes. On multiple occasions. One well known instance is his last meal. ‘Sukara maddava’ as its name suggests is a delicacy made of pork. (There is a debate whether this was poisoned to kill Buddha but let us not get into that.) Similarly there is enough evidence that his disciples, including Arhats, ate meat. No. Not even when a group of monks led by Devadatta requested for a prohibition. His response was explicit and unambiguous. Killing animals for consumption is wrong. But eating meat per se is not prohibited for his disciples under certain conditions. ‘Thrice cleaned’ meat (thrikotika paarishudhdha maansha) is accepted. This is like making Halal food. A meat is ‘thrice cleaned’ if a monk has not (a) seen, (b) heard or (c) do not suspect the animal specially killed for his consumption. This applies only for monks. Why, Gautama, who preached ‘ahimsa’ did not prohibit meat eating? Yes. Monks presumably do not purchase their food. They neither request. It is offered to them unasked. So they do not have a choice. Laity, on the contrary, makes conscious decisions to purchase meat. So while monks do not increase the meat supply by choice, the laity does. All producers, including those of meat, try to bridge a gap in consumer demand. So if meat is purchased it cannot be ‘thrice cleaned’ for the consumer. If offered it is a different case. Yes and No. Yes, if they purchase as that is equivalent to promote killing. In fact, part of the price of meat is for killing. No, if meat is offered. Where does science stand on this? Science does not provide a strong basis either for pure vegetarianism or excessive meat consumption. Perhaps the latter is worse, as it can relate to health issues. Moderate meat consumption is healthier and does not upset the balance in nature. It could be what nature expects us to do. This entry was posted on April 2, 2010 at 6:22 pm	and is filed under Uncategorized. Tagged: Ahimsa, AK-47, Akon, amino acids, ancient India, Ayatollah Khomeini, baboons, Biology, Bodhisatta, Buddha statue, Buddhism, Buddhism- friendly meat eating, Buddhist interests, Buddhist monks, Buddhists, Burma, Cambodia, chimpanzees, Desmond Morris, Devadatta, Dr. Vilegoda Ariyadeva, evolution, Gautama Buddha, gorillas, Halal, Hindu society, Hinduism, Hindus, Holy war, Homo sapiens, human, Islam, Jainism, Jihad, laity, Laos, LTTE, Maharaja, Mahayana Buddhism, MBC, Meat, Meat eating, Monks, MTV, pork, primate, Religion, Samma Ajiva, Science, Sinhalese Buddhists, Sinhalese interests, Sri Lanka, Sukara maddava, Taliban, Thailand, Theravada Buddhism, thrikotika paarishudhdha maansha, tropical canopy, University of Ruhuna, Vegetarian diet, Vegetarianism, Vegetarians, war. You can follow any responses to this entry through the RSS 2.0 feed. You can leave a response, or trackback from your own site. කට්ටිය ඇවිත් නාගත්තම, හත් පොලේ ගාගත්තම මම ආපහු එන්නම් බලන්න. I like the sense that you’re trying to present in your post. I think eating or not eating meat should depend upon the person. I am a vegetarian. I try to remain pure as possible; however there are repercussions in becoming a vegetarian. I became a vegetarian because I just don’t like meat, eggs etc. Wasn’t it samma kammantha the righteous livelihood where Buddha preached the livelihoods not to be adhered? Although the first of the five precepts, the basic code of ethical conduct for all practicing Buddhists, calls upon followers to refrain from intentional acts of killing, it does not address the consumption of flesh from animals that are already dead. Theravada monks, however, are clearly forbidden to eat meat from a few specific kinds of animals, but for reasons not directly related to the ethics of killing. Monks are free to pursue vegetarianism by leaving uneaten any meat that may have been placed in the alms bowl, but because they depend on the open-handed generosity of lay supporters (who may or may not themselves be vegetarian) it is considered unseemly for them to make special food requests. In those parts of the world (including wide areas of south Asia) where vegetarianism is uncommon and many dishes are prepared in a meat or fish broth, vegetarian monks would soon face a simple choice: eat meat or starve. Taking part in killing for food is definitely incompatible with the first precept, and should be avoided. This includes hunting, fishing, trapping, butchering, steaming live clams, eating live raw oysters, etc. To summarize what the suttas tell us: it appears that one may, with a clear conscience, receive, cook, and eat meat that either was freely offered by someone else, or that came from an animal who died of natural causes. But as to purchasing meat, I am just not sure. There are no clear-cut answers here. We are all guilty of complicity, in one way or another and to varying degrees, in the harming and death of other creatures. Whether we are carnivore, vegan, or something in between, no matter how carefully we choose our food, somewhere back along the long chain of food production and preparation, killing took place. No matter how carefully we trod, with every step countless insects, mites, and other creatures inadvertently perish under our feet. This is just the nature of our world. It is only when we escape altogether from the round of birth and death, when we enter into the final liberation of nibbana — the Deathless — can we wash our hearts clean, once and for all, of killing and death. To steer us towards that lofty goal, the Buddha gave us very realistic advice: he didn’t ask us to become vegetarian; he asked us to observe the precepts. For many of us, this is challenge enough. This is where we begin. 1. Theravada monks are forbidden to eat raw meat or fish, as well as the flesh of humans, elephants, horses, dogs, snakes, lions, tigers, leopards, bears, hyenas, and panthers. See the description of “staple foods” in chapter 8 of The Buddhist Monastic Code. A monk who eats any of those kinds of meat commits an offense that he must confess to his fellow monks. 2. See “The Economy of Gifts” by Thanissaro Bhikkhu. 3. Monastics within some schools of Mahayana Buddhism do practice vegetarianism. See Buddhist Religions: A Historical Introduction (fifth edition) by R.H. Robinson, W.L. Johnson, & Thanissaro Bhikkhu (Belmont, California: Wadsworth, 2005), p. 213. I think you have given the best answers I have ever seen for this complex question! Interesting view. By the way, Chimps and Baboons are known to eat meat. Jane Goodall’s studies in the 60s very clearly indicated that chimpanzees hunt and eat meat. Baboons also eat bush-babies, reptiles and other small creatures. With regard to the current state of Buddhism in Sri Lanka, it is quite clear that it has very little to do with The Four Noble Truths and/or The Eightfold Path and it looks like the ‘religion’ has replaced the ‘philosophy’ and all the posturing by those in charge (and most of their followers) is nothing but a bunch of ‘you know what’! In the clarification “Did Gautama Buddha eat meat?” , i would like to correct mentioning “Sukara Maddawa” is meat.It is not actually meat but it is a kind of meal prepared using the mushrooms near pig-stays. (Actually this is misinterpreted in many occasions). Thanks. I stand corrected. However, this does not mean that Gautama didn’t eat meat. පුරස්නෙ වෙන්නේ ප්‍රාණඝාතයක් වෙන්න ඕන කරුණු ගැන බලන කොට. මෙන්න මේ කරුණු පහ සම්පූර්ණ වෙනවද නැද්ද කියන එකෙන් බුද්ධාගමට අනුව පවක් වෙනවද කියල බලන්න පුලුවන්. මිළදී ගැනීම පණ නැසීමට ක්‍රමයක්ද යන්න පැහැදිලි නෑ. එයත් සාකච්ඡා කළ යුතුයි. මොකක් හෝ එම ක්‍රමයෙන් පණ නැසීම සිදු වන බව පැහැදිලියි. ලොකුම ප්‍රශ්නය තියෙන්නේ චේතනාව ගැන. චේතනාව නැත්නම් පවක් නෑ. චේතනාව තියේ නම් මැරුවේ නැතත් පණ නැසීමක් නොවූවත් පවක් සිද්ද වෙනවා. මට හිතෙන දේ තමයි, මස් කෑවොත්, පවක් සිද්ධ වෙනවා. හැබැයි, ඉතා ප්‍රබල එකක් නෙවෙයි. වැඩිපුරම පව් සිද්ධ වෙන්නෙ ප්‍රාණඝාතය කරන එකාටම තමයි. මටනම් හිතෙන්නෙ, ඒ මස කෑවට පව් නැහැ කියලා. මොකද අපට මුවාව මරණ චේතනාවක් තිබ්බෙ නැති නිසා. For a pragmatist Buddhist, this may be a good answer. But Load Buddha will not teach impractical things… so then there must be a second statement which will be followed with the statement “purchasing meat indirectly encourages killing”… What exactly it is…? මගේ අභිධර්මය ගැන තියෙන මතකය අනුව කාමාවචර සිත් විශ්ලේශන කරලවත් මස් මිලදී ගැනීමෙදි ඇතිවෙන අකුසල හිත කෙලින්ම හොයාගන්න බෑ. හරීම පටලිලි සහගත ප්‍රශ්නයක්. මා එක් තැනක දුටු අයුරින් නම් සූකර මද්දව යනු හතු විශේෂයකි (උරැ හතු). ලංකාවේ හා ඉන්දියාවේ මේවා අදද දක්නට ඇත. කෙසේ වුවද බුදු හිමියන් මස් අනුභවය නොකරන ලෙසද කොතනකවත් කියා නොමැත. වරක් දෙව්දත් සහ තවත් භික්ෂු පිරිසක් එක්ව ඉදිරිපත් කල කැරලිකාරි දසසිල් වලද මාංශ අනුභවය භික්ෂූන්ට අකැප කරන ලෙස බුදුන් ගෙන් ඉල්ලා සිටියහ. නමුත් එය බුදුන් ප්රතික්ෂේප කළ බව සදහන්ය. මාංශ අනුභවය සම්බන්ධව බුදුන් මධ්‍යස්ථ පිළීවෙතක් අනුමගමනය කළ බව පෙනේ. මං නං කියන්නෙ මේක දිහා වෙනස් විදිහකින් බලන්න කියලා. බුද්ධාගම බිහි වුනු ඉන්දියාව ගහ කොල හොඳට හැදෙන සශ්‍රීක රටක් – මස් කෑවෙ නැහැ කියලා මිනිස්සු මැරුනෙ නැහැ. නමුත් ක්‍රිස්තියානි ආගමත්, ඉස්ලාම් ආගමත් බිහිවුනු, පැතිරුණු ප්‍රදේශ දිහා බලනකොට, ඒ මිනිස්සුන්ට මස් නොකා ජීවත් වෙන්න හැකියාවක් තිබුනෙ නැහැ. කාන්තාරෙ අහිකුන්ඨකයො වගේ ජීවත්වෙනකොට, අලයක් කොලයක් කන්න නැති වෙනකොට, තමං ඇතිකරන සතෙක් මරාගන්නවා ඇරෙන්න වෙන විකල්පයක් තිබුනෙ නැහැ. ආගම් වල පදනමට මේ වගේ දේවල් එහෙමත් ගොඩක් බලපෑවා කියලා තමයි මං නං කියන්නෙ. මටත් හිතෙන්නෙ මේ නිසා තමයි වෙන්න ඇත්තෙ, බුදුන් වහන්සේ මස් කෑම ප්‍රතික්ෂේප නොකලෙ. මොකද කාන්තාරෙ එහෙමත් නැත්තම් අධික ශීතලේ ජීවත් වෙන මිනිස්සුන්ට වෙන කරන්නෙ දෙයක් නැහැනෙ. එතනදි චේතනාව වෙන්නෙ තමන්ගෙ බඩහින්න නිවාගැනීම. ඒත් පවක් නම් සිද්ධ වෙයි. මා ද එම මතයෙහිම සිටිමි.බුදුන් එදා ශ්‍රාවකයන්ට කිරි නොබොන්නය් කීවා නම් කිසිවෙකුත් ඔහුගෙන් බන අසන්නට නොපෙලඹෙනු ඇත. (වහු පැටවාගේ තනි අය්තියවන කිරිටික උදුර ගැනිම )මහමත් තුමා මස් නොකන්නය් දෙසුවා නම් අද සුද්දන්ට පතුරුඅගසන්නට යෝනකයන් බිහි නොවන්නට ද ඉඩතිබින. refrain from intentional acts of killing ?? Certain people adopt pure vegetarianism as a dietary law because they are totally against the killing of living creatures. If a person can survive without killing any living creature, entire universe will adopt such a way of life. In the past people thought plants were lifeless. Today it is a universal fact that even plants have life. Thus their logic of not killing living creatures is not fulfilled even by being a pure vegetarian. Today science tells us that even plants can feel pain. But the cry of the plant cannot be heard by the human being. This is due to the inability of the human ear to hear sounds that are not in the audible range i.e. 20 Hertz to 20,000 Hertz. Latest researches show that the plants can even feel happy and sad. It can also cry. Just interested… would you be able to explain to me how an organism can feel pain if it doesn’t have a nervous system? How can an organism emit sound if it doesn’t have any sound-producing device like vocal cords? As far as I know, plants do not have Vignaana (perception, wisdom – pls correct if I have used wrong translation here). Because of that, plants are not classified as “Saththwa” in Buddhism. However, the fact that plants react to inputs should not be equated to having life. Plants “crying” is a reaction but not necessarily a show of emotion. For instance, boiling water can be viewed as “water writhing in pain” but we know that it is only the water’s reaction to intense heat and that water can not feel any pain! Another example: take a kids’ software program in which a smiling face appears when the child presses the correct button. Is the computer really “happy” that the child gave the correct answer? The Software does not “know” the meaning of the button but only reacts by showing the smiling face based on certain rules. It may be due to the fact that plants have certain life-like features (organic formation, growing, life-cycles, dying etc), we believe plants are alive! I don’t mean to be rude towards the good scientists who have been toiling away at these researches. All I am doing is to share my views on this. Lord Buddha said if you did not kill , you can eat. and also you did not want it to be killed for you too. පනුවන්, ගුල්ලන් නැති හාල් එලවළු මිලදී ගැන්නා පාරිභෝගිකයන් නිසා, එවැනි සතුන් මරා වඳ කිරීමට ගොවියෝත්, මුදලාලිලාත් පෙලෙඹෙති. වෙලඳ පොලේ ඇති සියලම එලවළු, ගුල්ලන් පනුවන් මර්දනය කර නිපදවා ඇති බව පාරිභෝගිකයෝ දනිති. තව තවත් ඒවාම මිලදී ගැනීමෙන්, එම ප්‍රාන ඝාත අකුසලයට ඔවුනුත් හවුල් වේ. රාත්තල් සීයක දඩ මස් වලට එක ජීවිතයක් නැති වේ. හාල්, එලවලු රාත්තල් සීයක් සඳහා ජීවිත දාහක් හමාරක් වඳ කෙරේ. ප්‍රොටීන් වල පමණක් නොව, කාබෝහඩ්‍රේට් වලද පව් තැවරී ඇත. ඕවා සල්ලි දීල ගන්න අය අපායෙන් මෙහා නවතින්නෙ නැහැ. So far this is the best argument I have read so far in these comments. We must allways think out of the BOX like this. FYI, This is not an argument I invented. I have heard about this explanation for many decades from Bhikkus and the above is a simpler form of it. Buddhist point of view of indirect killing (proxy killing) is a lot more profound than the above. I happen to find the below web reference, which you will find interesting. I only wanted to say that your argument holds FORT amoung foolish Vegitarians of Sri Lanka. Please note that when buddist monk is ordinated he is asked – Eka ( one) the reply is Sabbe Sattha Aha-Raththika ( All beings eats). this does not talk about GERI MUS. On a light footing I was told by a dark Maldivian ( stunning) girl that they also call beef – GERI MUS – confirming there is close connection with Ceylon and Maldives. All producers, including those of meat, try to bridge a gap in consumer demand. The clergy accepts the meat offered (derived from slaughtered animals) by the laity and consequently it increases the consumer demand and the amount of meat purchased by the laity. The producers slaughter more & more animals to feed the clergy. The fact the laity pays money for the meat and the clergy does not pay money for the meat they consume makes no difference to the resulting consumer demand and consequently to the increased slaughtering. If the clergy takes a conscious decision to accept and consume meat from slaughtered animals knowing that additional animals are and will be slaghtered to produce the meat for clergy, then the clergy is increasing the meat supply by choice. (ii) voluntary consumption of meat (derived from slaughtered animals) by the clergy also promotes killing animals, therefore, it is wrong. Both of these implications are contradictions according to Buddhism. Consumption of Three-fold Pure (“Thrikotika Paarishudhdha”) meat by the clergy, if the meat is derived from slaughtered animals, promotes killing of animals. The laity, knowing that the clergy accepts meat, buys additional meat for the clergy, which creates additional demand which is met by additional slaughtering of animals by the meat producers. It follows that if the original proposition is true, consumption of Three-fold Pure (“Thrikotika Paarishudhdha”) meat is also wrong, which is a contradiction according to Buddhism. Therefore, the original proposition is disproven by reductio ad absurdum. The other possibility is ‘thrice cleared meat’ is only a theoritical possibility. There was a case study about one General (retired) Seeha who purchased slaughtered meat from a market and offered an alms giving to Buddha and fellow bhikkus. The fact that Buddha and fellow Bhikkus accepted this meal and went on to justify it by “Three-fold Pure” guideline tells us that it was not merely a theoritical possibility. Besides, if it were only a theoritical possibility and there were no practical way for Buddhists to eat meat derived from slaughtered animals without amassing “Akusala Karma”, or eating slaughtered meat is unacceptable, then Buddha would have told it so in explicit terms instead of muddling the situation with “Three-fold Pure meat”. No. Still it can be a theoretical possibility. If “Three-fold Pure meat” was only a theorical possiblity with no practical use for Buddhists, Buddha would have told it in no uncertain terms rather than muddling the situation with “Three-fold Pure meat” concept. Besides, Buddha gave a practical example for the “Three-fold Pure meat” referring to the slaughtred meat based food offered by Gen. (retired) Seeha, therefore, it cannot be a mere theoritical possibility. You repeat the same stupid argument like a broken gramophone. It can be a theoretical possibility of no practical use. As I have repeated like a broken gramophone, it cannot be a mere theoritical possibility because Gen (retired) Seeha’s alms giving had “Three fold pure meat”, as Buddha himself said so, which was a “practical situation” of Three Fold pure meat. Moreover, if consumption of meat derived from slaughtered animals is wrong or result in akusala karma which prolongs Samsaric Cycle hence prolongs suffering of beings, Buddha, being the person who wanted to shortern all beings’ Samsaric Cycle and suffering, would have disclosed that explicitly, rather than confusing people by introducing a “no practical use, theory-only Three fold pure meat concept” thereby prolonging their Samsaric Cycle and suffering. Buddha would have been the last person to introduce “a theoritical possibility with no practically useful” concepts. Such things are “දෙලොවටම වැඩ නැති, හිස් වචන”, which Buddha discouraged against. Buddha once explained that his knowledge was immense, but he disclosed only what led to shorten the Samsaric Cycle and end sufferings of beings. It is a contradiction if the same Buddha introduced a “theoritical possibility with no practical use”, which is either useless or has opposing effects to end Samsaric Cyle and suffering. 3rd attempt to post. Previous two attempts appeared to have been unsuccessful. Taboo, If they were not censored, can you check please? Buddha once explained that his knowledge was immense, but he disclosed only what led to shortening of the Samsaric Cycle and end sufferings of beings. It is a contradiction if the same Buddha introduced a “theoritical possibility with no practical use”, which is either useless or has opposing effects to ending of Samsaric Cyle and suffering. Some of your comments were on spam as if Word Press itself judged their value. Anyway, nothing new in any of this. You bring the same argument I have already responded. The definitions of ‘thrice cleared meat’ is clear. According to that definition it can be a theoretical possibility. That does not make the definition wrong. If you think Gautama contradicts himself, it is him (or in his absence a disciple) you should debate with. There is no point asking me why Gautama was wrong. FYI there are few occasions Gautama contradicts himself (or at least reported to) so this is not a surprise. In such instances I go with first principles. Repeating the same thing hundred times does not make it different. I at a loss to understand how you have responded to the points I raised. All I can see is you continue to ignore this and repeat that it is only a theoretical possibility! Secondly, as I have pointed out, Buddha never indulged on “theoretical possibilities that has no use” for ending the Samsaric Cycle and sufferings of beings. Buddha actively discouraged against such “දෙලොවටම වැඩ නැති හිස් වචන”. Thirdly, you didn’t respond to “vegetable kills beings as well” argument. So, I am at a loss when you say you have already answered! මේ ලිපියේ හෙඩිමට “සිංහල” කතාව එක වූයේ ඇයි? “සින්ඃඅල” බෞද්ධයා අමුතු බෞද්ධයෙක්ද? ” ගෙරි මස් කන්නා යහපත් බෞද්ධයාද?” කියල විතරක් තුබුණ නම් ඇති නේද? සිංහල පදය මෙතනට ගෙනාවේ ටැබූ ගේ ලෝන්ග් ටර්ම් ගෝල් වලට උදවුවකටද? 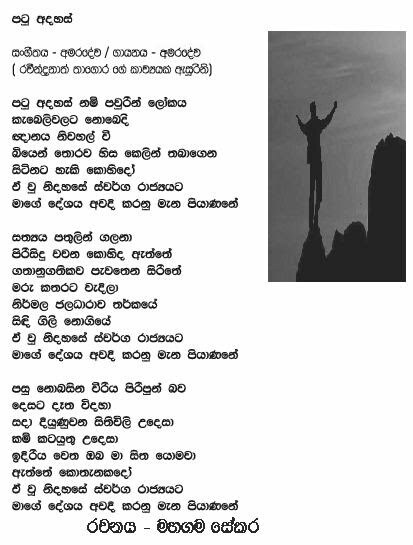 “සිංහල බෞද්ධයා” අමුතු බෞද්ධයෙකි. ඔහු අනෙක් බෞද්ධයින් සමඟ එක පේළියට තැබීම අනුචිතය. In the first place why should we accept the interpretation on suitability of meat eating given by Ven. Ariyadeva or anyone else for that matter? As humans each and every one of us has been blessed with an analytical & inquistic mind facilitating the ability to reason,think rationally and arrive at a logical answer individully. In addition the reasoning that compelled Gautama to refrain from prohibiting purchasing meat may have some thing to do with the people whose sole livelihood was hunting. Please note that they most probably were the most down trodden and at the lowest rungs of society at that time. As such prohibiting meat will directly effect their life adversely which we can assume Gautama wanted to avoid. I posted this before, but it appears to have gone missing. Please remove if duplicated. Thanks. if you analyze the Vinaya you will see many rules like this. what we should remember is that vinaya is not there for nirwana. it is there for the longer continuation of the sanga. many rules were imposed because they were necessary for the acceptance of the society. as i say again and again analyze before a conclusion. read the whole thing. try to understand the back ground. analyze the changed done to the original rule. you might see that many are “දෙලොවටම වැඩ නැති, හිස් වචන” but there are there for a reason although might not be practical and applicable for today’s society, which is why Buddha just before his death gave permission to change minor rules if necessary. මීට අදාලවම හරවත් සංවාදයක් රන්දිල් ගෙ බ්ලොග් අඩවියේත් මෑතකදී සිදු වුනා. එහි තිබෙන අදහසුත් වැදගත්. සබැඳුම පහත. 1. I never said Buddha contradicted himself. Please do not misquote me. I pointed out that if your argument were true, then it would contradict Buddha because he did not indulge in such useless theories as you claim. Thus, your explanation of “Three fold pure meat is only a theoritical possibility” is not acceptable as this introduction contraditcs established knowledge about Buddha. 2. You did not respond to “Vegetables kill beings as well” argument at all. 3. Repeating the same thing hundred times does not make it different. You continue to repeat that “Three fold pure meat is only a theoritical concept” when I already pointed out that there were practical situations that Buddha himself gave examples, as in Gen (retired) Seeha’s case. 4. I am surprised that you decided to block my comments. How can it waste your time, when I make comments? If you think I merely repeate without answering questions, let the readers decide for themselves by publishing my comments. This is my last response to your posts. If you are unwilling to openly discuss and wanting to block comments that you have no answeres, I am more than happy to stay out of your blog. This is my last response to you. I am sorry I do not have time to waste educating you. If you cannot understand simple English it is your problem not mine. 1. According to your ‘Seeha’ story Gautama contradicts his own definition of ‘thrice cleared meat’. It is not a misquote. It is you who brought that case study. In that contradiction I depend on the definition, which is clear enough without any ambiguities. So there is no point asking me why Gautama contradicts himself. 2. I agree producing vegetables too kill lives. However, I see the issue from science and do not give same importance to all values. There is a clear difference between killing an insect and killing a cow. 3. That is the contradiction dear. So either you forget the definition or the case. 4. I have given you enough opportunities to express your position. If you still cannot make yourself clear, and repeat the same things sorry, I have no more ears to you. Start your down blog. I discuss matters with those who have open minds. There is hardly any use of discussing matters with closed minds. I avoid that. 1. Buddha declared that Seeha’s meat beased food was “Three Fold Pure” and according to Buddha’s interpretation and the established Buddhist interpretation, there is no contradiction. The contradiction ONLY occurs on your novel interpretation and that is why your interpretation has to be abandoned. 2. Buying of vegetables and meat involve indirect killings. Therefore, it contradicts your argument that “only buying meat is Akusala Karma”. If your theory is consistent, even buying vegetables is wrong. Hence, to be consistent, you have to agree that both are wrong or both are right. Cows are different to insects, however, both have lives that farmers kill in order to produce food. What matters is the loss of lives. 3. 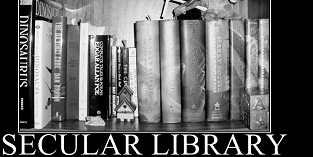 The contradiction occurs only if your novel interpretation is accepted and that is why it has to be ditched – it is not consistent with the established Buddhism. 4. I have repeated no more than you. I only repeatedly raised the same point because up to now you did not answer them but repeated your theory. I too discuss matters with those have open minds. That means, those who are prepared to ditch their theories when shown that their theorie are contradictory and inconsistent. According to Buddhism, in order to be “Three fold pure meat”, the animal should not have been specifically slaghtered on behalf of a specific consumer. Established Buddhism interprets “specifically slaughetered on behalf of the a specific consumer” in such a way that meat already slaughtered and prepared for sale in the market “have not been speficically slaughetered for a specific buyer”, hence, they are “Three fold pure meat”. This is consistent with Buddha’s word on Gen. (retired) Seeha’s meat based alms giving and what Budhdha later told to Jeewaka in Jeewaka Sutta. You interpret “specifically slaughered” in a novel way and challenge th established Buddhism interpreation. However, as I have shown, your novel interpretion is wrong/contradictory on two counts. 2. Your interpreation is internally contradictory because you exonerate beings specifically killed to plant crops to produce vegetables specifically for the buyers who pay a price which includes a fee for killing pests. established Buddhist interpretation, there is no contradiction. that both are wrong or both are right. consistent with the established Buddhism. slaughetered for a specific buyer”, hence, they are “Three fold pure meat”. This is consistent with Buddha’s word on Gen.
(retired) Seeha’s meat based alms giving and what Budhdha later told to Jeewaka in Jeewaka Sutta. produce vegetables specifically for the buyers who pay a price which includes a fee for killing pests. their theorie are contradictory and inconsistent. I feel really sorry for your capacity to understand simple English. 1. You are wrong. Gautama obviously contradicts himself. If you don’t see a contradiction you have not properly understood the definition of ‘thrice cleared meat’. 2. I already responded to this twice. See my above comments. 3. Already responded. What established Buddhists say does not matter. 4. True, if you repeat the questions I have to repeat the answers. If you want new answers, ask new questions, please, without repeating same stupid questions. If you want me to accept your theory PROVE IT. Saying it is established Buddhist belief or Gautama said is NO PROOF. Gautama is a human being and like any human being he can be wrong. Got it at least now? No, Buddha did not contradict himself. Only your ‘novel interpretation’ sees it as a contradiction. I already showed it. Now, if you don’t accuse me of repeating, I can repeat and say why. I already showed the flaws & contradictions of this argument. It does not matter whether a price is paid or not. Animals are slaughtered for the consumption of those who eat slaughtered meat. So, if your argument were correct, all slaughtered meat eaters would have been responsible (regardless of whether they pay money or not), hence, they are wrong and collect Akusala. Obviously, this is a contradiction to Buddhism, because if this was the case, Buddha would simply said that eating slaughetered meat promotes slaugtering, hence eating slaughered meat was an Akusal. Buddha actively refused to do so. So, either Buddha was wrong or your novel interpretation is wrong. 2. Buddha introduced the concept “Three fold pure meat” when doubts were raised about the meat purchased by Gen (retired) Seeha, which Buddha declared “Three fold pure meat”. So, either Buddha again got it wrong, or your novel interpretation is wrong. 3. Buying of vegetables and meat involve indirect killings. Therefore, it contradicts your argument that “only buying meat is Akusala Karma”. If your theory is consistent, even buying vegetables is wrong. Hence, to be consistent, you have to agree that both are wrong or both are right. You did not have an answer for the argument above. You simply say there are differences between cows and insects; of course they have different numbers of legs; but that doesn’t make killing insects an “Akusal Free” thing. No where Buddha said killing insects are free from Akusal. On the contrary, Buddha said every being loves its life and killing a being, however small, is an Akusal. Your “novel interpretation” that implies “killing insects is free from Akusal” is contradictory to the Buddhism (or Buddha got it wrong, again!). “If you want me to accept your theory PROVE IT. This shows how shallow your knowledge about the religions. Nothing in a religion is provable and your challenge to do so draws laugh. Then, can you prove that eating meat is an Akusal?? A religion is an internally consistent set of axioms. All we can do is to accept the axioms and inspect whether a new theory is consistent and compatible with the already known axioms. If the new theory is not consistent and not compatible, it cannot be incorporated into the already consistent set of axioms ie the religion. This is a futher example to the shallowness of your knowledge. Do you accept Karma-Pala-Waadaya? There is no PROOF! No one can prove that. So, why do you accept that without proof? On the religions, all we have is the words of the founder. That is why they are religions and not sciences. Buddhism is consistent in that buying meat prepared for sale is not an Akusal. Your attempt was to prove that “According to Buddhism, buying & eating meat was Wrong and Akusal”. Buddhism is set of axioms that Buddha laid out. Your theory is internally contradictory (that you had no answers about insects being killed for vegetables farming other than saying insects are different to cows) and not consistent with Buddhism, so your theory cannot be incorporated into Buddhism. It is simple as that. You can certainly alter Buddhism, by fixing where Buddha got it wrong (according to you), but that is not Buddhism anymore. That can be called Taboo-sm. What Buddha taught is Buddhism. What Taboo alters is not Buddhism, but Taboo-sm. The length of your comment shows only your confusion. 1. /So, either Buddha was wrong or your novel interpretation is wrong./ You finally got it. Assuming the case is reported right, Gautama was wrong. 3. I never said only buying meat is ‘akusala karma’. To me ‘akusala karma’ is an undefined term. No use of taking about vegetables because there is no definition for ‘thrice cleared vegetables’. If I were to assume anything called ‘thrice cleared vegetables’ any vegetable that needs insecticide fails the test. BTW, who said you I accept this concept karma-pala-vadaya or whatever? I do NOT modify Buddhism. I only go by first principles of Buddhism rather than on examples. I still say consuming meat in a way that increases the meat supply by choice is not acceptable for Buddhists. In generalized (but not strictly true) language it is wrong for Buddhists to eat meat of any animal slaughtered for meat according to Gautama’s own definition of ‘thrice cleared meat’. You cannot prove it wrong, because it is right! I still say consuming meat in a way that increases the meat supply by choice is not acceptable for Buddhists. In simplified and generalized (but not strictly true) language it is wrong for Buddhists to eat meat of any animal slaughtered for meat according to Gautama’s own definition of ‘thrice cleared meat’. It is not me who says so, it is gautama himself who says so. Your introduced a new theory that “buying meat promotes killing” hence it is wrong and Akusala Karma. On the same token, buying vegetables also promotes killing of insects, hence it has to be wrong and Akusala Karma too. That is simple as that. According to the Buddha’s word, meat that is for already on sale is not specifically prepared for a specific buyer, hence those meat is “Three fold pure”. The meat that Gen (retired) Seeha purchased *did not* come from an animal *specifically slaughtered* for Gen (retired) Seeha, hence, according to the definition of “Three fold pure meat” that Buddha laid out, **that meat is Three Fold pure. ** That is the clear case proof. This proof is further supported by Buddha’s case study on Gen (retired) Seeha’s alms giving. Now, you don’t accept this explanation and introduce an overriding theory that “since buying meat promotes killing, it is Akusal and Wrong”. However, you cannot accept its implication “Buying vegetables also promotes killing of insects, hence it has to be AKusal or Wrong”. Therefore, your theory is internally contradictory. It is nothing worse than saying “Killing a cow is Akusal, but killing an insect is not because Taboo says so”. If you say Budhdha got it wrong and you fix it, what you propose is not Buddhism. Buddhism is what Budhdha taught, not what Taboo changes saying Buddha got it wrong. According to Buddhism that Budhdha taught, buying and eating meat is not an Akusal. When you introduce a new interpretation and change axioms set by Buddha, saying Budhdha got it wrong, the resulting religion is not Buddhism. It is your own variation – Taboo-ism. According to Taboo-ism, eating meat may be an Akusal. Don’t lie. You used your own additional theory. See below. Yes, if they purchase as that is equivalent to promote killing. This are not first principles, this is your addition. Budhdha never said this. Taboo introduced the above “promoting killing is wrong” theory. If Buddha intended to say what you say, Budhdha would have easily said that eating any slaughtered meat is Akusal as it promotes killing. Budhdha did not do so, and that is why what you introduce is not Buddhism, but Taboo-ism. Contrary to what you say, Buddha added a restrictive qualification that unless “the animal was specifically killed for the specific consumer“, the meat is “Three fold pure”. That is the first principle. Meat already on sale is not killed for a specific consumer as laid out in the first principles, therefore, such meat is “Three fold pure”. Exactly, this is what I say. What you say is not Buddhism. You cannot say “According to Buddhism, buying meat is wrong and Akusal”, because you theories are based on science and scientific point of view, which is different to Buddhism. This is same as a Christian saying “killing a cow is not Akusal in Buddhism because Bible doesn’t say so! – I believe in Christianity”. සතුන් මරා වෙලඳපොලේ විකිණීමට ඇති මාංස, සීහ සේනාපති මිලදී ගෙන බුදු රජාණන් වහන්සේ සහ සංඟයාට දානය පිළිගැන්වීය. මේ මාංස පිළිබඳ නිගන්ටයන් එල්ල කළ චෝදනව නිසා, බුදු රජාණන් වහන්සේ තිකෝටික පාරිශුද්ධ මාංස පැහැදිළි කළ සේක. මහණෙනි, ** තමන් උදෙසා මරණ ලදැයි ** නොදක්නා ලද, නොඇසුනා ලද, සැක නොකරන ලද මාංස අනුභයව අනුමත කරමි. On the contrary, Taboo introduces a new theory that “meat consumption indirectly increases the meat supply which promotes killing, so it must be wrong according to Buddhism”. Buddha never said anything about “indirectly promoting killing is Akusal or Wrong”. That is what Taboo introduced. If Buddha had thought in the same way as Taboo claims, Buddha would have simply said that accepting/consuming meat derived from slaughtered animals promotes killing, hence, an Akusal. Buddha did not take such a simplistic view, as Taboo does. This Taboo’s new hypothesis, obviously, is internally inconsistent (ie. Taboo only cares for the cows, not for the insects) and incompatible with Buddhism. By his new theory, Taboo argues that Buddha was wrong in declaring Seeha’s alms giving was “Three fold pure” because according to Taboo, it promotes killings. However, Budhdha did not worry about such promotions of killings — that is not Buddhism, that is Taboo-ism. Then again, by his new theory, Taboo says that Buddha’s “Three Fold Pure meat concept” is a theoritical concept with no practical use. Obviously, Buddha never indulged on such “දෙලොවටම වැඩ නැති හිස් වචන”. “This, also, is a contradiction of Buddha’s part”, says Taboo. Taboo’s new hypothesis is not compatible with Buddhism that Buddha taught. In order to justify Taboo’s hypothesis, Taboo has to claim Buddha was wrong and contradictory on many occasions. So, what is happening is simple. Buddha, the enlightened one, understood the “Karma Pala Waadhaya”. This is the mechanism that determines what is Kusal and Akusal and associated results. Knowing “Karma Pala Waadhaya”, Buddha did not bother about buying meat that promotes killing. Taboo, by his own admission, does not believe in Buddhist “Karma Pala waadaya”, so his perception of “wrong” and “Akusal” are not what Buddha perceived. Therefore, according to the set of rules Taboo proposes, which has to be called Taboo-ism, (which is different to the Buddhism that Buddha taught based on Karma Pala Waadaya), buying meat could be wrong. According to Buddha’s Buddhism, NO. I have responded to all your questions in detail and I have neither time nor inclinations to repeat the same answers. The reason for your confusion is your inability to understand the different between what Gautama preached and what he did. You have made a total of 24 (twenty four) comments in this thread and still failed to prove anything or at least to make your point. I strongly advise you to stop this futile effort of verbal barraging because it will confuse you more. I only have sympathy for you. I think I have conclusively proved, especially from my last three posts, that your confusion is caused by your novel interpretation (which is internally inconsistent for lack of compassion for insects) of “Three Fold Pure Meat” which is not consistent with Buddhism, Buddha’s words and Buddha’s examples. Whether the enlightened Buddha was wrong countless times or whether, simply, Taboo misinterpretted and confused himself, is best left for the readers to judge. Nevertheless, there needs to be a correction for your statement: “consuming meat in a way that increases the meat supply by choice is not acceptable for Buddhists”. The point is, this not what Buddha said. This is a hypothesis you introduced, which holds no water in Buddhism. As such, what you should correctly says is, “consuming meat in a way that increases the meat supply by choice is not acceptable for Taboo-ists”. Thanks for the sympathies you have for me – the feeling is mutual. You have not only not proved anything but also admitted it you cannot by an earlier mails. Nothing in a religion is provable and your challenge to do so draws laugh. Then, can you prove that eating meat is an Akusal?? Do you accept Karma-Pala-Waadaya? There is no PROOF! No one can prove that. So, why do you accept that without proof? I have given you more than 25 opportunities to prove yourself, and you couldn’t. So this will be your last thread in this thread. This madness should stop. Thanks for your interst in my blog. බුදුන් වහන්සේ “ගෞතම” කියලා හඳුන්වන තමුසෙට පුලුවන්ද මනුස්සයො මේ බ්ලොග් එක හරහා හරවත් යමක් කියවන්නාට ලබාදෙන්න. “මෝඩ ටැබූ” තමුසෙ තියන දෙයක් කාලා,තියන වැඩපලක් කරගෙන ඉන්නවා පන්ඩිතයා බව පෙන්නන්න හදන්නේ නැතුව. first of all, Great Work Taboo + other open minded Commentors. the people who are eating meat wont just eat what they are “offered”. They will surely purchase meat & meat products. That is surely promoting Meat sails and killing. IF THERE IS NO DEMAND FOR MEAT, NO ONE WILL KILL TO PRODUCE MEAT. Eating meat in moderation is not going to happen either. Its like raging in universities. It’s Binary. Either its on or NOT. Since we have been eating meat for millions of years, its hard to stop. Our minds have evolved. (well, true in most cases) But bodies have not. But, dont try to rationalize eating flesh.